The last of the Bell’s stouts I brought back with me from Michigan is their Java Stout. At 7.5% abv, with a starting gravity of 1.075, it should have a final gravity of about 1.017. Roasted Barley often has a coffee like flavor to it, so combining stout with coffee it is a natural combination. I have had a few very good coffee stouts, probably my favorite to date is Founders Beer Breakfast Stout. As stouts and coffee are both two of my favorite things to drink, I had to give this a try. 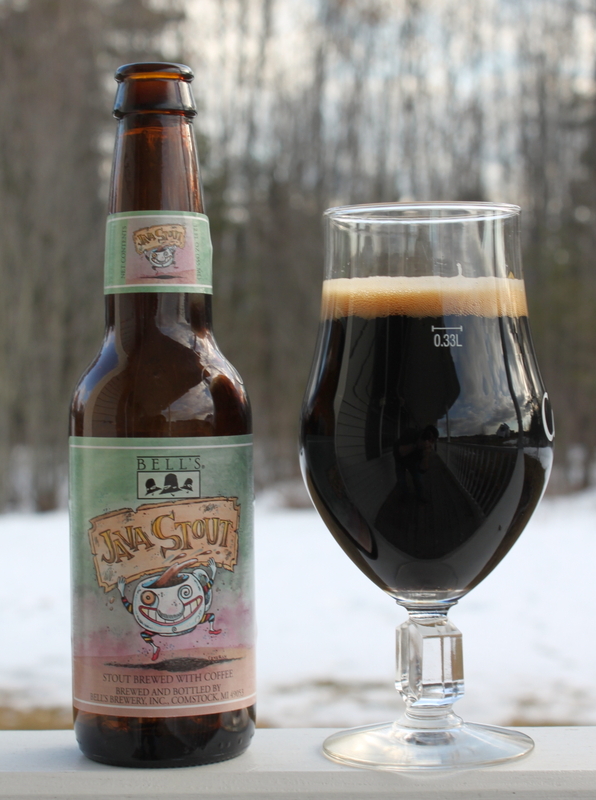 Taste — body is a bit on the thicker side, the stout coats the mouth nicely. Strong roasted notes up front, with some malty, caramel sweetness behind it, with some chocolate. This moves to a fairly bitter aftertaste, you really notice the coffee here, with a decent amount of hop bitterness as well. Critique — The roasty flavors are pretty strong in this. You get the coffee more on the nose, and then in the aftertaste. I was surprised by the bitterness, and I think it is a bit too bitter for my taste. I would want a smoother finish to the beer, as I think a touch of sweetness would bring out the coffee more. Overall, a nice stout, and one of the better versions of a coffee stout I have had. However, I think if I was to try to make something like this, I would tone down the IBU’s., or add something to help give it a more creamy taste and feel to help balance the bitterness more. It probably could use a softer roasted malt profile to help highlight the coffee more.